Even FCC chairman Ajit Pai’s heroes can’t stand him. Ron Swanson, the ornery small-government hero of Parks and Recreation, despises public officials who abuse their power. 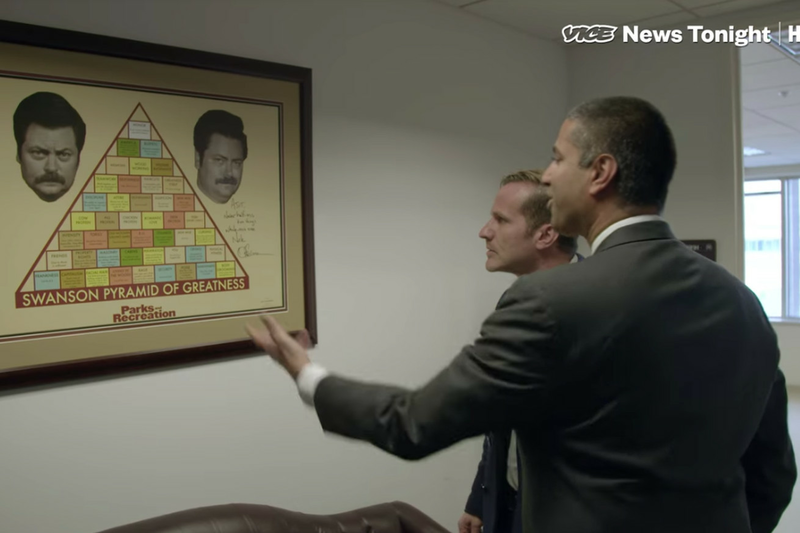 So when Pai showed off his signed “Ron Swanson Pyramid of Greatness” to Vice News, Swanson put him on notice. Pai plans to kill net neutrality next Thursday. Too bad he’s not making friends. ByteFunding.com is an international technology deal platform. We provide an investor relations team that helps retail and institutional investors gain exposure to the technology sector.